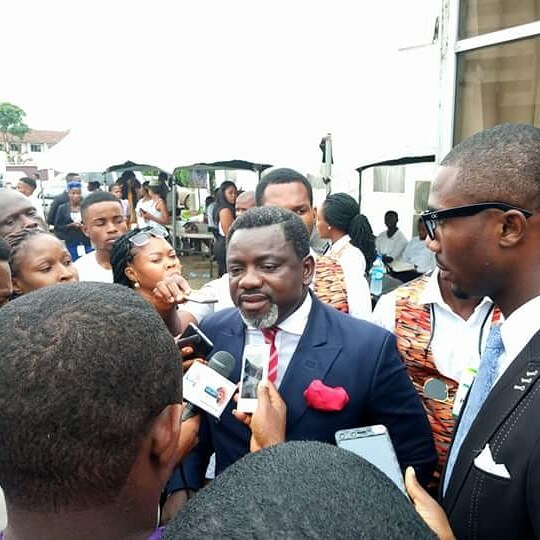 Dr Linus Okorie, an internationally recognized leadership development coach and human capital development consultant will on Saturday June 16, 2018 declare his intention to contest the governorship election in Imo State. The declaration ceremony which will take place at the New Banquet Hall, Rock view Hotel, Owerri at 10.00am is expected to attract friends and dignitaries from within and outside Nigeria and friends all walks of life. Dr Okorie is the President, Guardians of The Nations International (GOTNI) a leadership development, non-profit organization which has developed over fifteen leadership brands to train and nurture youths, elected officials and the general public on effective leadership skills and values. The Governorship aspirant is also the Managing Consultant of New Vision Consults, a world class leadership consulting firm, is currently working on building the much anticipated Global Leadership Center to be cited at the Oguta Lake area in Imo State. Dr Okorie, as Governor is committed to creating a World class IMO filled with endless possibilities where every Imolite will be a major stake holder in the affairs of the State. Dr Okorie, is the Convener of IMO Nkeanyi Movement and is powering his political campaign through this socio-cultural organization with membership cutting across all political persuasions and made up of good spirited Imolites who are yearning for God-fearing governance in Imo State. He is, therefore, inviting the good people of Imo State, the academia, all labour organizations, captains of industries, student bodies, market association, Members of Road Transport Union, Clergy, Professional bodies and the general public to this epoch -making ceremony aimed at creating a new political paradigm in Imo State.